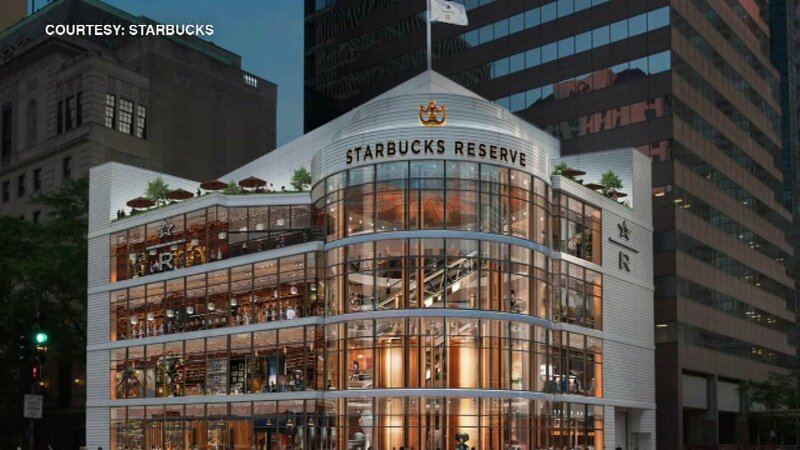 CHICAGO -- Starbucks plans to build a new tourist attraction on Chicago's Magnificent Mile, which Mayor Rahm Emanuel's office said will be the largest Starbucks in the world. The company will take over the Crate & Barrel location on the prime corner of North Michigan Avenue and East Erie Street. The new space will offer a new menu of Reserve coffee drinks and mixology, as well as freshly baked products developed by Italian baker Rocco Princi, who is known for artisan breads inspired by traditional family recipes.